Buyer's financing fell and price reduced to move quickly. 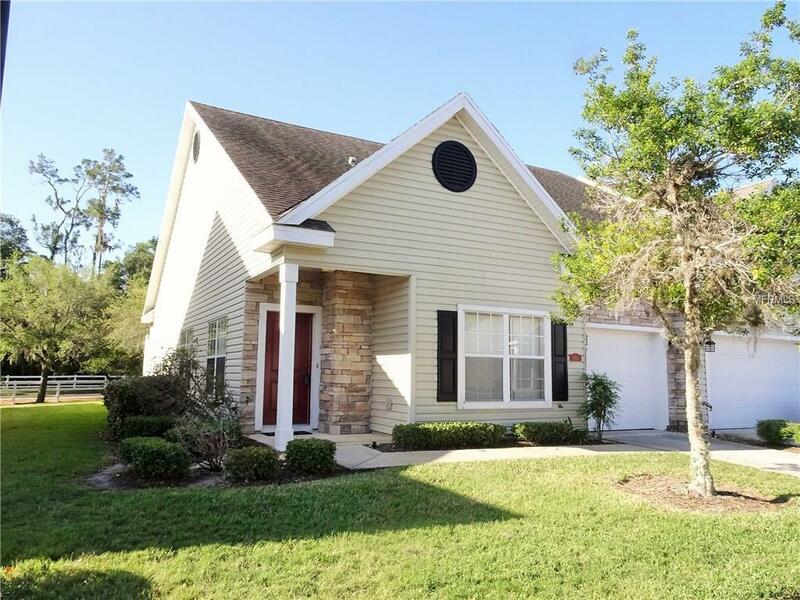 Hard to find, one story townhouse, 2 BR, 2 BA with garage, high ceilings, screen porch and pond/woodsy view in southeast Lakeland gated townhome community, located just off Lakeland Highlands. These one story townhomes rarely come on the market and this one is move-in condition. Kitchen is the center of this home with a 3 sided breakfast bar that overlooks the large family area and out to the screen porch. All appliances included, 42' maple cabinets and lots of counter space for cooking. Split Bedrooms with Master Bedroom in the back of the home with large walk-in closet and glamour bath. Secondary Bedroom has bath just outside the door. Inside Laundry room with door that can be shut! Hall closet and closet pantry and garage give this home plenty of storage. Neutral colors throughout, carpet was replaced a year ago. Enjoy your screen porch looking at a small pond and woods just across the street. Just minutes to shopping and restaurants and the Polk Parkway, this home is priced to sell and the buyer can enjoy the community heated pool! Additional Lease Restrictions Verify With Hoa. We Do Not Know The Answer To This.